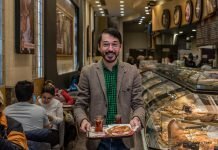 Sweden’s coffee tradition – Do you fika? I am a coffee fan. Not just any coffee, mind you. Good coffee–dark, robust, served in a nifty cup or mug, and with something flavorful alongside. My earliest coffee memory is from sleepovers at my grandparents’ house–my grandmother would wake me on a winter morning with a steaming mug of coffee-flavored milk, which I got to enjoy with Grandpa while we read the newspaper together. Perhaps I get my coffee affections from the Swedish branch of the family, immigrants to the US almost 150 years ago? The Swedish have a wonderful tradition of coffee and cakes to break up the workday: fika. 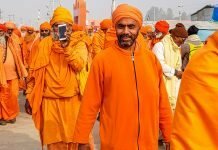 The practice is so ingrained, it happens twice a day, at appointed times. 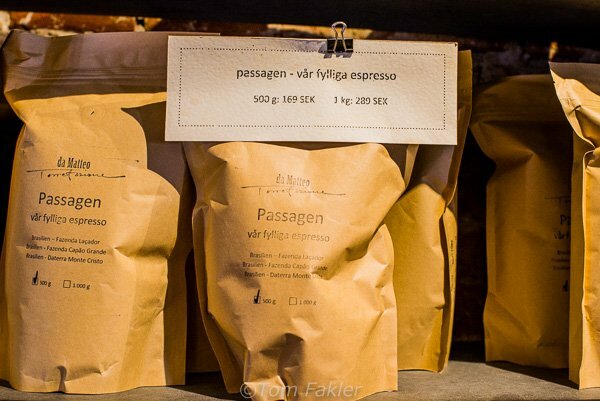 Fika is even a verb! Coffee time is the place for catching up with friends and hatching business deals, with hot drinks and cakes to smooth the way. In Sweden, everywhere I went, fika was on offer–with hot chocolate or tea for the non-coffee drinkers. And always with a slice of cake or a sandwich alongside. 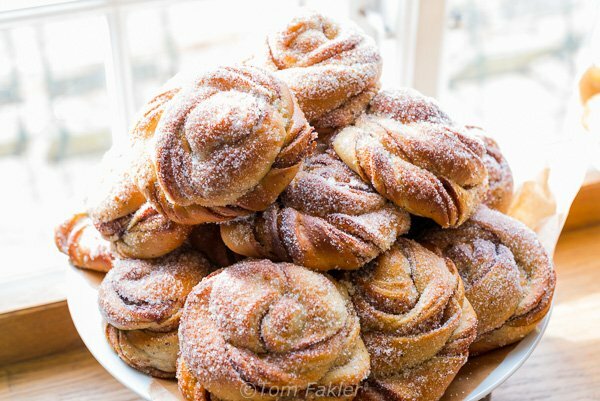 The cinnamon swirl is the very essence of a typical Swedish coffee break. The cinnamon buns at Gunnebo House, near Gothenburg, are tasty-and-tidy affairs, dusted with sugar. 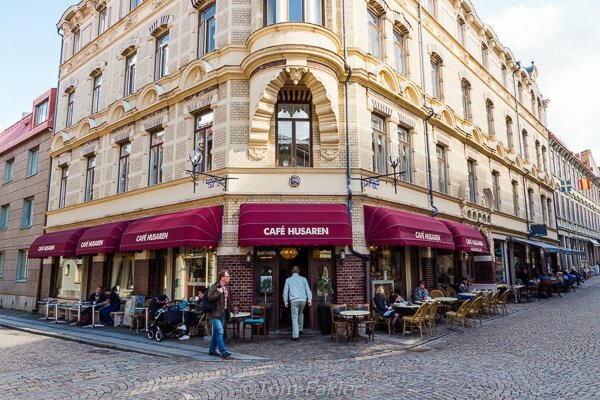 Café Husaren is a top destination in Gothenburg for coffee and the largest cinnamon buns in town. 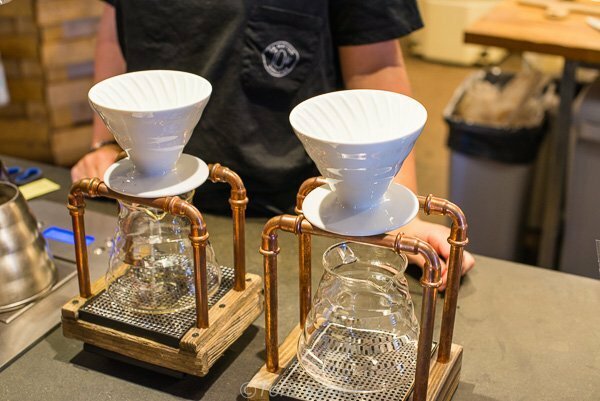 At Da Matteo, the latest trend brings coffee filtered into single-serve carafes. Coffee beans are roasted in-house at Da Matteo. Filter coffee is made to order, following an exacting regimen: water heated to 220 C (425 F), poured over exactly 14 grams of coffee, and left to steep for 2 minutes 30 seconds. At Gunnebo House, coffee and bite-sized portions of meringue-and-blossom-topped muffins are tasty! 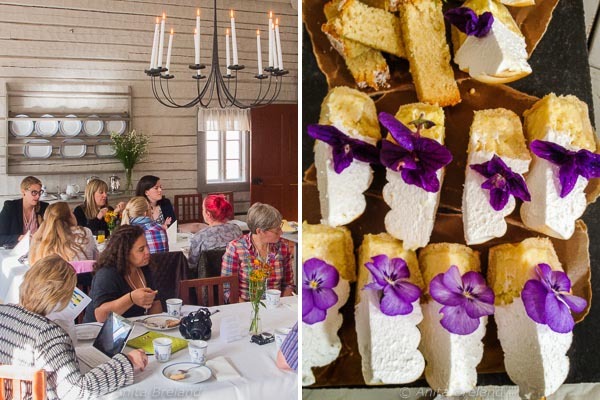 Fika can be much more than coffee and cakes–here, a lavish spread at Gunnebo House, more luncheon than coffee break. Fika can be as much about the sides as the coffee (for me anyway). 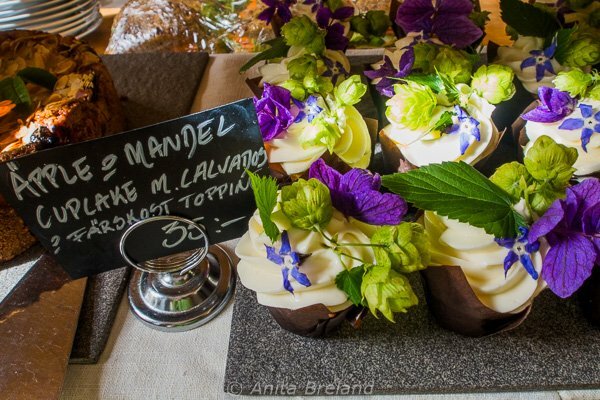 These apple-almond cupcakes with a topping of calvados-flavored cream cheese and edible flowers from the Gunnebo House garden are almost too pretty to eat. 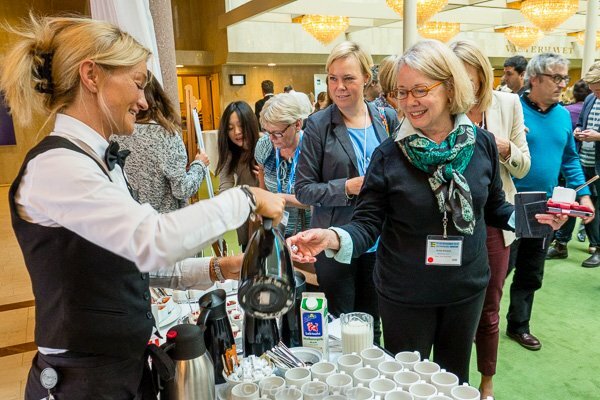 At the World Food Travel Summit in Gothenburg, delicious coffee breaks came with blueberry muffins and Swedish cookies. 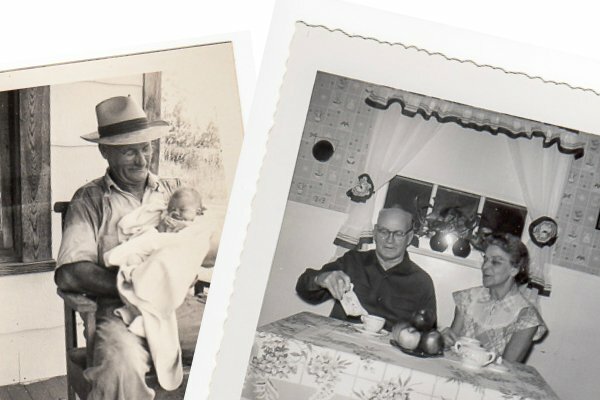 My very first coffee memory is from time spent with my grandfather. 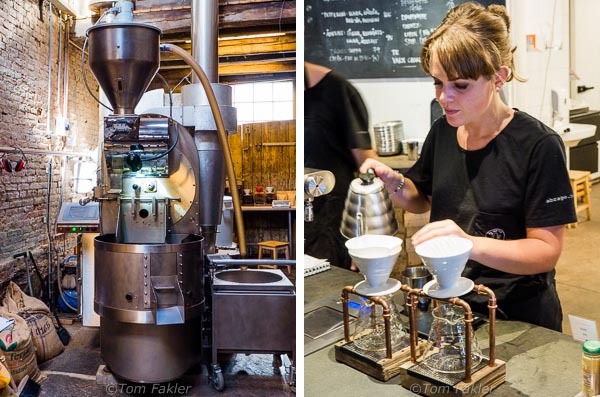 When I visited Gothenburg last autumn, I had a feeling Grandpa Isaacson would have enjoyed cruising Sweden’s coffee scene as much as I did! Swedish love of fika translates into plenty of cafes to kick back and enjoy a cuppa and cake or other sides. 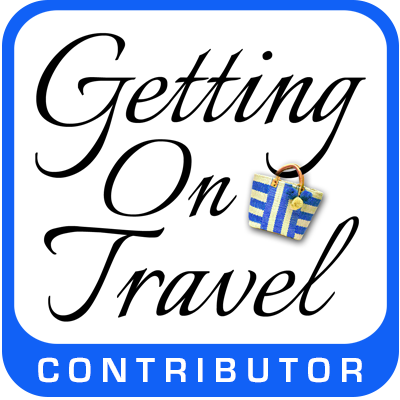 My explorations led me to: Da Matteo Caffe é Gelato, Café Husaren, and the servants’ quarters-turned-cafe at Gunnebo House and Gardens in Mölndal, just south of Gothenburg. 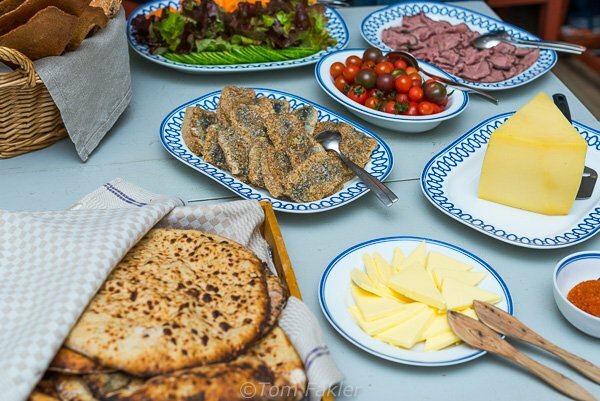 Thanks to Gothenburg & Co and the West Sweden Tourist Board, I had several opportunities to enjoy Sweden’s fika tradition while in town for the 2013 World Food Travel Summit! 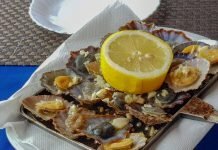 This looks so delicious (great photos!) 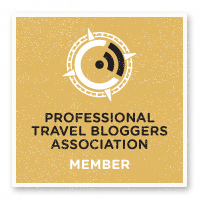 that I feel compelled “to Fika” in Sweden… maybe this summer? Thanks for the inspiration, as always. 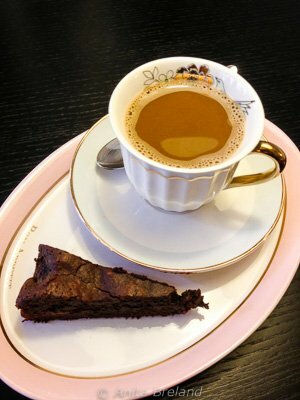 Thanks for commenting, Aysha…you can fika anywhere, but experiencing the tradition in Sweden is a treat!